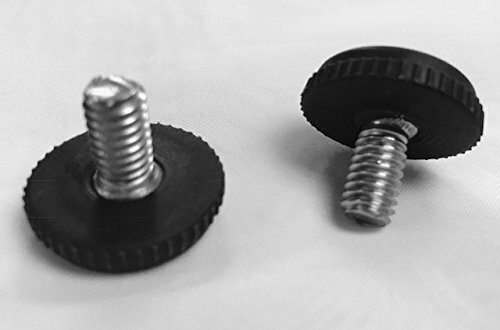 Screw in feet glides designed to protect floors and keep patio furniture legs from wearing. PLEASE- be sure you are ordering the correct thread size to fit your furniture. A trip to your local hardware store with one of your existing parts- can save time and money -by getting the right part ordered the first time. Hardware stores can help you by identifying the exact thread size needed. Sunniland Patio Brand is sold exclusively by Sunniland Patio. Beware of imitations of lesser quality from other suppliers. If you have any questions about this product by Sunniland Patio, contact us by completing and submitting the form below. If you are looking for a specif part number, please include it with your message.